Hey everyone! Happy Thursday! 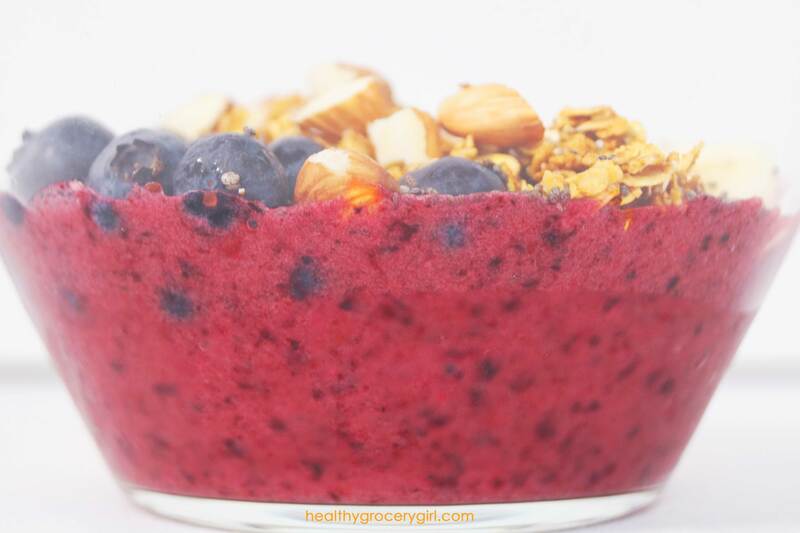 Today I am sharing with you an easy and delicious breakfast idea, a Smoothie Bowl! It is refreshing, satisfying and so yummy. I also like to make this recipe as an afternoon snack! 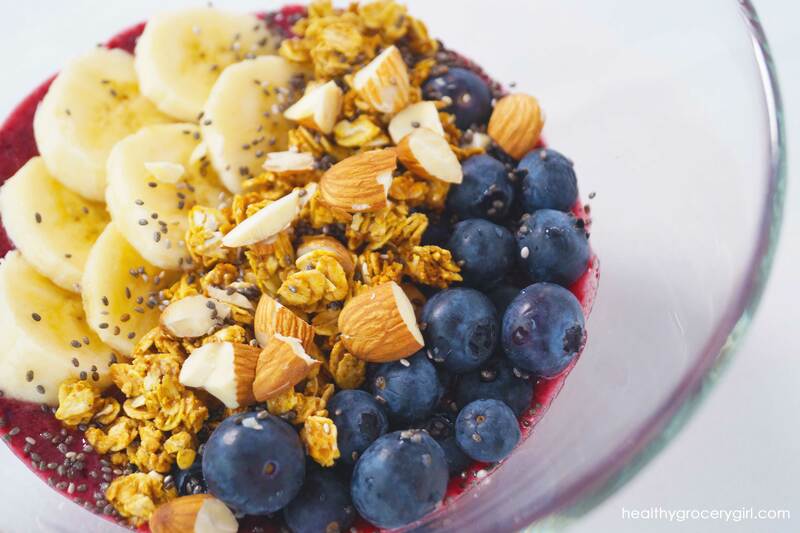 The smoothie bowl base is made from fruit and water (or non-dairy milk beverage of choice) and the chopped almonds and granola add a crunchy contrast. Chia seeds add protein and fresh fruit pack even more vitamins and minerals into this delicious dish. What’s also fun is that you can really get creative with the ingredient combinations, it’s endless! I can’t wait to hear what you think of this recipe, if you make it leave me a comment below! Have a great day everyone! I love this recipe for breakfast or even as an afternoon snack!